Jamie's Rabbits: The Post About Who's Sacrificing More Savings? The Post About Who's Sacrificing More Savings? Here's a transcript of a conversation between my friend Caryann and me. Background: She's about to move cross-country from California to Tennessee. She's also a diligent saver of money. Me? Not so much. She might seem the better person because of that, but she actually worries TOO much about saving. Yes, there is such a thing. Me: You should just pay for the movers since it will only cost $500 more than actually doing it yourself. Caryann: Maybe. It's just I'm running out of money. Me: I'm sorry, don't you have about a quadrillion dollars in savings? Caryann: But I don't want to touch that money. Me: What is savings for if not for a time like this? Plus, do it for me so I don't have to ride in a Penske truck from Amarillo to Nashville. And excuse me! I sacrificed MY savings for you by buying that plane ticket to Texas. Caryann: I can't help it if you only had $150 in savings. 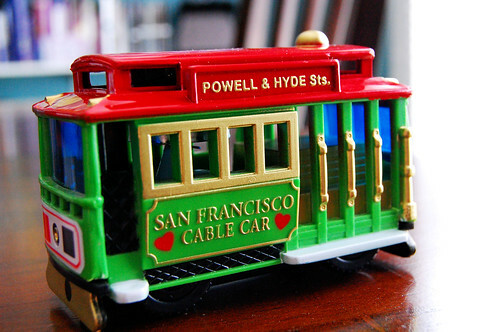 This just made me want to ride a trolley from Cali to Tenne. C: As long as you got to sit. Standing on the trolley is cool for about 3 minutes.